Retirement is a good thing! After gainful employment for 45+ years, much of that time holding down two jobs, I decided it was time to follow up with a few years chasing my passion for bird dogs and bird hunting. I was born into a military family. We lived all over the United States, as well as Germany. Throughout it all, the love of outdoors was a constant thread. From running all summer, barefoot and shirtless, through the swamps and backyards of Panama City, FL, to moose hunting in Alaska, snow skiing, water skiing, bike riding (helmetless, of course! ), and exploring, the world was waiting to be discovered. After college, I joined the Navy and flew jets off carriers for a bit. Then, with a wife and family, I took up airline flying, all the while flying for the Navy in the Reserves. Running, triathlons, marathons, and all sorts of endurance work kept me occupied. Then, one day, I was presented with a Brittany puppy for my birthday. That, as they say, was that! I was completely hooked. Bird dogs and bird hunting became a passion. 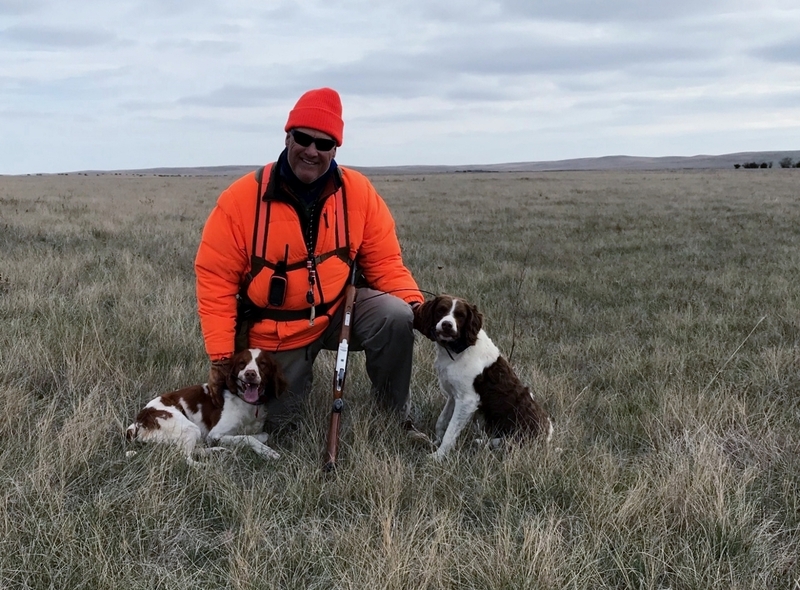 Then, after a few years hunting locally, traveling around the country to hunt enabled me to hunt many different species of upland game- all in their natural habitat. Wild birds. During the off seasons, I would field trial my dogs. NSTRA (National Shoot to Retrieve Field Trial, Association) was my venue of choice, and I've had some success. But, the heart is never far from prairie, mountains, north woods, or deserts. So, as the years pass, marked by the lives of my dogs, the legs get slower, the eyes less sharp and the ears....well, lets say my wife says I need hearing aids, my mind is never far from the next adventure with my Brittanys. I invite you to join me as I BLOG about the journey. Sign up for notification by email (believe me, I don't use your email address- it's automatic) or follow me. 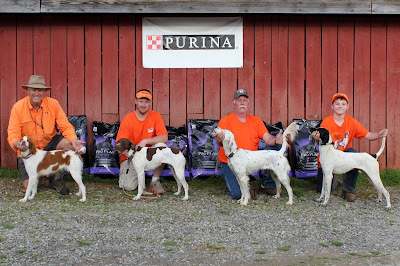 I think you'll find a lot of helpful advice about bird hunting, too, as I test various items. Scroll through past articles, or email me with questions. Most of all, remember to take time to thank Jesus for whatever it is you are thankful for. My favorite prayer is: "Lord, let me be the man my bird dog thinks I am!"